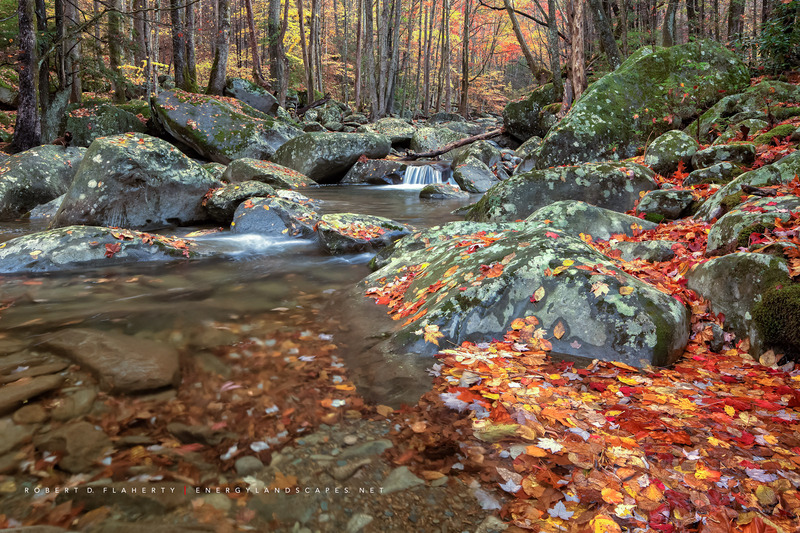 Remnants Of Autumn was photographed Halloween morning on the West Fork of the Little Pigeon River in the Upper Green Briar region of the Great Smoky Mountain National Park. For this particular year the end of October meant an end to the fall leaf change. The remnants of Autumn can be seen all around. While the Great Smoky Mountains are our nation's busiest national park, there are many areas such as this one were you can spend some alone time far away from the crowds. The secret to photographing this park is knowing where you are going to photograph in advance. I spent my first two trips here in 2012 and 2011 researching the locations I spent a month photographing in October and November 2017. Look for many new images from this trip as I update the website over the next 6 months. When in Ruidoso New Mexico, make an appointment to stop by my studio gallery at Topside high above the Village of Ruidoso in the Central Mountains of New Mexico. 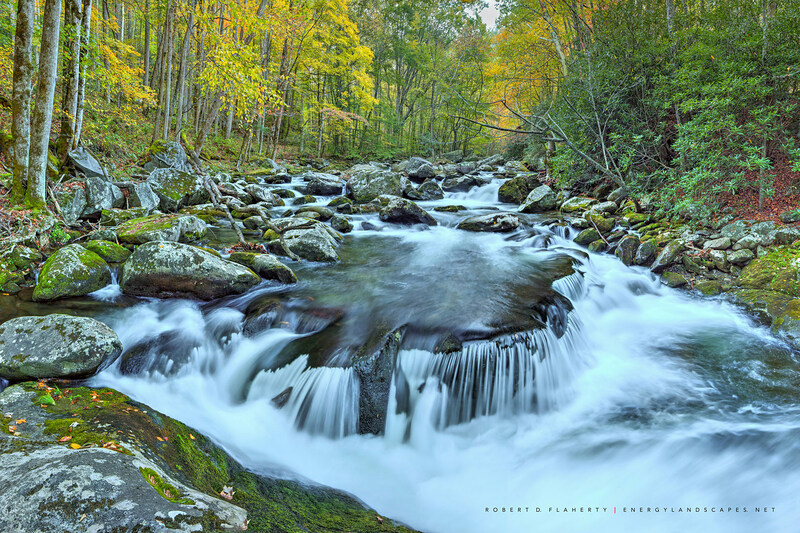 Fine art landscape photography featuring the rivers of the Great Smoky Mountains National Park by Robert D. Flaherty. Photo © copyright by Robert D. Flaherty.